I saw Woosha at a grocery store in Richmond yesterday. I told him how cool it was to meet him in person, but I didn’t want to be a douche and bother him and ask him about Joe Daniher or anything. This is more plausible than most of the inside tips Blitzers conjure up when we are on a losing streak. Davo likes to tell stories………………………………. I have not seen either WOOSHA or JOEDAN up here. Neither have my sauces. They say no news is good news, but I feel unaccountably anxious all of a sudden. Will he even be training this week? I would have thought he would be in Ungarie for the week. Devon Smith on GameDay didn’t give much away when asked about Joey. Did say pretty straight faced that it’ll be a hard forwardline to break in to. Said Joey’s a superstar and they just want him fit and healthy and that it would be interesting to see if he does get back in or comes back through the 2’s. I hope they put him through the two’s and say to him you have to play well to play AFL, else you can stay there till your in form. It’s selfishly, as I want to see him kick 15 in the two’s. 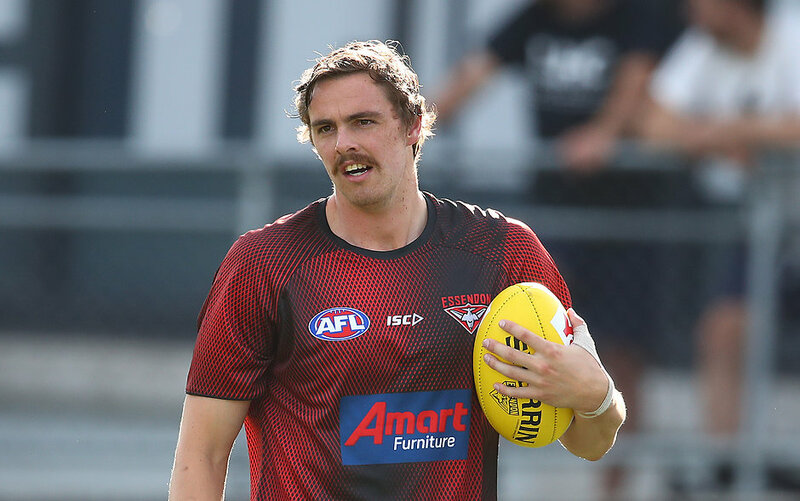 Just imagine my friends, how good it would be to have a fully fit and firing Joe Daniher back in our line-up. Anyone watch 10 news? Apparently they said that Joey will most likely play VFL this week. Oh goody. I’m going to the VFL. But did they say how many beer Joey drink? So many learnings happening this year. Wow.